The SOC exists to promote the study, enjoyment and conservation of wild birds and their habitats across Scotland. There are many ways to get involved in Club activities and to contribute to, and futher advance, our knowledge of Scotland's wild birds. Our quarterly members' journal, Scottish Birds, acts as a channel of communication for SOC members and is a means of sharing information and original research relavant to ornithology in Scotland. Subscribe today to receive your issue every quarter. 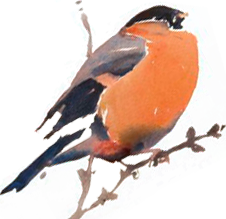 Keep up to date with the latest articles, news and reviews relating to the Club, our work and Scottish ornithology in general, by visiting the SOC Facebook, Twitter and News and Stories page. Don't have a Facebook or Twitter account? No problem - you can still view the pages without being signed up to either. Share your latest Scottish bird images with the birdwatching community using our image uploader facility. To see what's recently been uploaded, visit the Photo Gallery, where you can search for images of your favourite species, photographer or site. If all this whets your appetite for getting out birdwatching yourself, then visit our local branch pages to find out more about the fantastic programme of outings and talks we run across Scotland!